Like a huge, collaborative photo album, Instagram is the perfect social network for sharing and viewing photos and videos. You can find photos on almost any topic and add your own to the collection by tagging them with keywords. With more than 300 million regular people, celebrities, companies and organizations already on board, Instagram offers something for everyone. You can also choose to interact privately with a small group of your friends. Username Your username is how people recognize you on Instagram. The name you choose follows the @ symbol and can include numbers, letters, periods and underscores. Your username appears atop all the pictures or videos you post and at the top of your profile. Your username is listed after the final slash of the URL that makes up your online Instagram address. 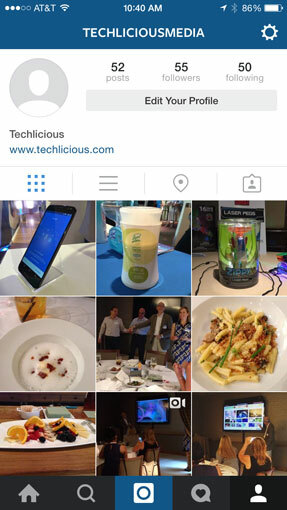 For example, our Instagram username is @techliciousmedia and our online profile is located at www.instagram.com/techliciousmedia. Profile Your Instagram profile is where you tell people who you are and what you like to post. When you click on the option “Edit your profile,” you can add your name as the heading of your bio and write whatever else about yourself you would like. You can add a link to another website, such as your social media profile on Twitter or Facebook. At the top of your profile, you can add a picture that will appear at the top of your posts next to your username and next to any comments you post. You can find your own profile by choosing the person tab at the bottom right of the main screen. On your profile page, you’ll find all of the photos and videos you’ve shared, a map to view your posts based on location and any photos other users have tagged you in (called “Photos of You”). Public This privacy setting means that anyone can view your posts, the photos people have tagged you in and your photo map, even if they aren’t following you. Private account When you activate the private account setting, people who aren’t following you can still find and see your profile (bio and user name) but won’t have access to your posts, photo map or photos of you. Post Posts are the photos and videos you choose to share on Instagram. To create a post, select the camera tab and choose a photo or video from your phone’s library or take one with the app. Then edit the photo and add filters, if you want. Next, add a caption and then share it. Hashtag Hashtags are used to find and give context to your post or comment. For example, if you shared a post about cameras, you could use the hashtags #camera or #technology. 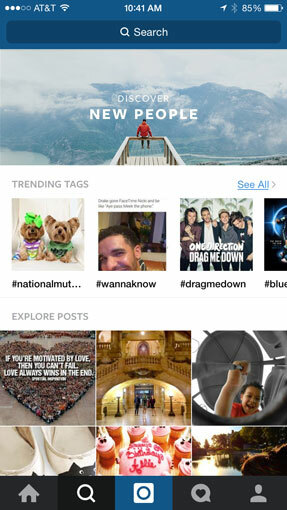 Hashtags help other users discover your posts when they search on Instagram. You can find posts with hashtags by searching in the Explore section or clicking any hashtag in the caption of a post. Photo map When you post a photo or video, you can choose “Add to Photo Map” to show your location. If you choose, you can also name your location. That way, your followers or anyone who views your profile can choose your photo map tab to see exactly where you were when you posted specific pictures. Tagging This term has two meanings. The first is when you post a picture that someone appears in or was present for. You can choose the “tag people” option to do this. The other meaning of tagging is when you comment on a photo or video and you want to address one or more users directly. To do this, you write your comment and then write @ with their username following it. Direct post Instagram Direct lets you send pictures or videos privately to up to 15 people. On the home screen in the top right corner, there is an inbox symbol. When you tap the symbol, the screen shows direct posts that you have sent or received. You can go back to a direct post at any time unless the sender deletes it. To send a new direct post, tap the plus sign in the top right corner or choose the camera tab and go to the direct setting after you have chosen your picture. Explore The Explore tab, represented by a magnifying glass, lets you see recommended or trending posts and accounts. When you choose to search, your recent search history pops up, including the hashtags you use most often. The People tab allows you to search for other users by username or full name. The Tags tab allows you to search for posts with a particular hashtag. The Places tab lets you look up posts made in various locations. Follow When someone follows you, your posts become part of their news feed (the home tab). If you make your account private, the person has to send you a follow request, which you can either accept or deny. If someone follows you, they can see in the “following” section of their activity tab which posts you have recently liked or commented on. News feed The news feed consists of the most recent posts of the users you follow. Every time you log into Instagram, you’ll see your feed. Like If you enjoy another person’s post—maybe it’s cute, funny or something you agree with—you can show it by liking it. You do this by double-tapping the post or by tapping the heart under the person’s post. Block If you don’t want someone to have access to your pictures or be able to look up your account, block them by going to their profile, tapping the menu button (three dots) and selecting Block User. Activity feed This tab is shown by a speech bubble with a heart in it. There are two parts to the activity feed: Following and You. The You section tells you if anyone has followed you or has put in a request to follow you, tagged you in a post or comment, commented on your posts or liked your posts. The Following section shows the recent activity of users you follow, including pictures they’ve liked and other users they’ve followed. Comment To comment on someone’s post, press the speech bubble under the post, write your comment and then submit it. Keep in mind that comments are not anonymous, and people can report comments as inappropriate. Start off on Instagram by getting the free app from the Apple App Store or Google Play. When you first open the app, you’ll need to register by giving your email, creating a username and selecting a strong password. Choosing a username and profile picture that represents you is important, but you can change both at any time. For your bio, think about your target audience, whether it’s close friends or potential clients or customers, and write something that tells them what they can expect in your posts. Follow accounts like yours, as well as your friends and family, to connect with others and acquire followers. If you want to follow a celebrity but aren’t sure if a particular account is the real deal, look for a symbol of verification next to their name in their bio. If there is no verification symbol, the account may not be verified yet or the account may be created by a fan. When you start to post, choose things that are flattering, interesting and relevant. You can edit your photos and videos on the app before you post them using Instagram’s filters and easy-to-use tools. Use them to make your photos and videos pop. Make sure to add a caption and a few hashtags related to your account and posts so others will see your photos and videos. That should be enough to get you started. 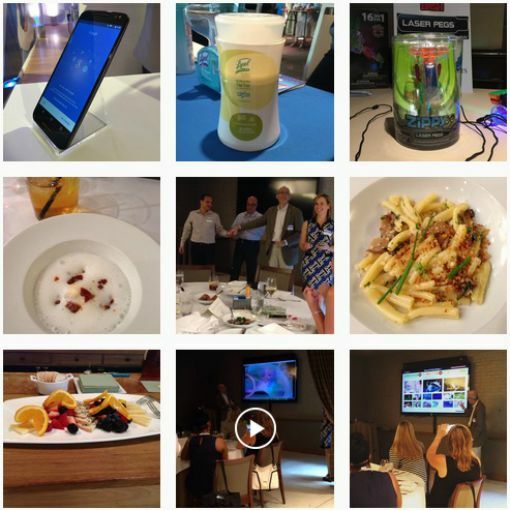 Start snapping photos, uploading and following others to fully enjoy all Instagram has to offer. I have an Android tablet that has all kinds of room on it, but since it is not 4.4 or better, and DOES NOT HAVE Google Play on it (even tho its browser is Google (go figure! )), I cannot buy, beg, borrow or steal the Instagram app. Amazon will only allow the purchase of the newest version of the app. GetJar loads PadGram that still has to have the real IG app on your tablet (so why bother?) that you must be logged into to use PadGram… sheesh! Would love to be able to get started with IG as a business/sales platform, but the bucks for newer tablets, etc. aren’t available. What do poor folks do? What tablet are you using? It should be upgradable either through official updates or by loading your own Android mod on it. My tablet is so old and outdated that Polaroid doesn’t upgrade (probably never did). If you can’t upgrade your tablet, you could try running BlueStacks (http://www.bluestacks.com/), which lets you run Android apps on your computer. Or for a bare bones uploader, you can try Gramblr (http://gramblr.com/uploader/). You can create an Instagram account by selecting Sign In when you go to instagram.com. I have been told that the only way to “run” and use IG on a computer is to have it running on your phone or tablet (which I do not and cannot), then open the website, sign in and etc. Does BlueStacks and Gramblr sidestep this? Cool if it does work! P.S. I bought IG thru Amazon (the only way I could get the app) and it refused to open or I couldn’t register an account. I went to the appstore to check and it wasn’t in my app list, so Amazon is refunding. Now hoping I can still get the name I want to use. Figuring that the tablet is too old to be upgraded. I can maybe get a firmware upgrade, but not sure if I want to risk losing stuff. Hei buddy can’t you upgrade your system to a more recent OS ? I have been using this app without a problem on my pc with Windows 7. Lower right below a picture that I post is an icon that looks like a flag. If I tap it, it turns black. What is that for? That blackened flag indicates you’ve saved the photo. Later, when you’re looking at your own feed again, you can click the flag and see your own personally curated feed of photos you’ve saved. No one else sees this feed, just you. Very cool, really. Does anyone know what the number by the person icon in the upper left of the personal page mean? under a post is a heart icon (to like) and a speech bubble icon (to comment) on the left, and on the right is a half-envelope type icon. What is that?